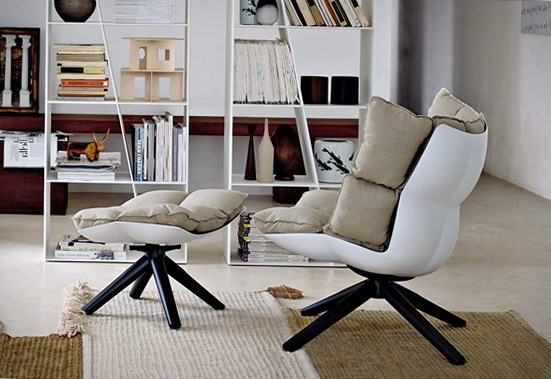 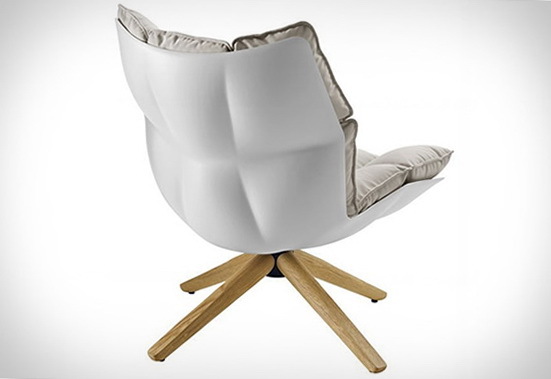 The Husk Chair was designed by Patricia Urquiola for furniture store B&B Italia. 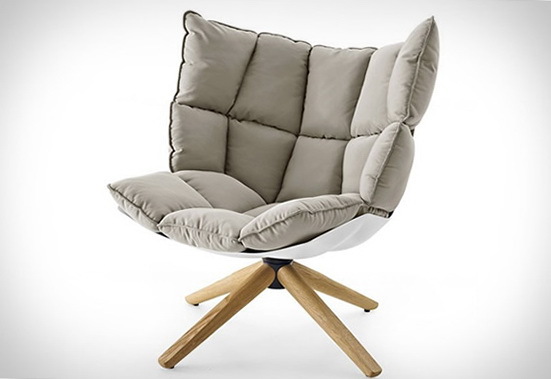 It consists of a hardshell in Hirek and a series of soft cushions stitched together. 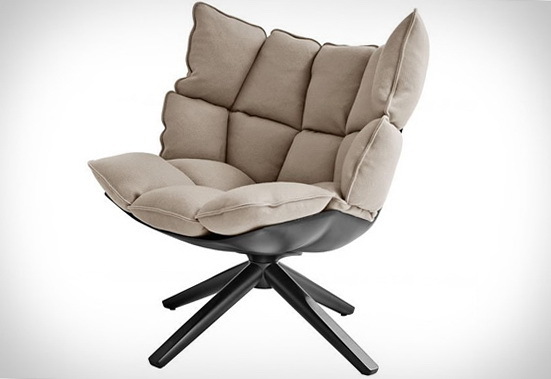 Three styles of cushion are available, standard, large, and very large, you can also opt for a headrest.